Grid Therapeutics, LLC, a new start-up company led by Duke Cancer Institute cardiothoracic radiologist Edward Patz, Jr., MD, has developed and is on track to manufacture and bring to trial what it calls “the first human-derived targeted immunotherapy for solid tumor cancers” — a novel antibody against a unique target for the treatment of lung cancer with applications in multiple cancer types. On Monday, Oct. 30, Catalent Pharma Solutions announced they’ve entered into a multi-year agreement with Grid for the development and manufacture of the antibody. 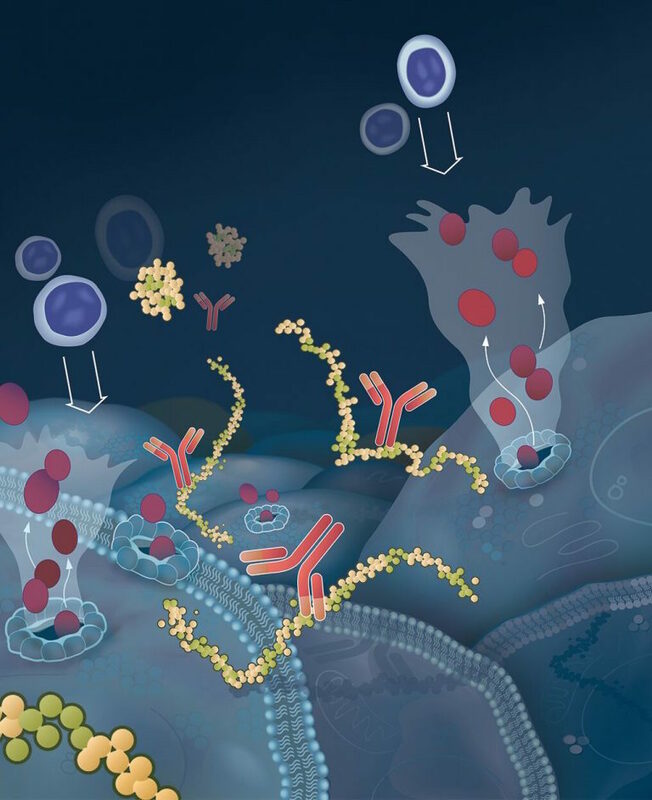 “Catalent regularly and successfully partners with innovator companies looking to bring new, important therapies to market faster, and a patient derived IgG3 monoclonal antibody would be a significant advancement in optimized treatments,” said Mike Riley, vice president and general manager of Catalent Biologics, in a press release by Catalent. “Grid Therapeutics is excited to partner with Catalent, and feel Catalent Biologics is well positioned to help us bring this novel antibody to the clinic,” Patz, CEO and co-founder of Grid Therapeutics, LLC, told DCI. Grid, which launched in September 2016, gained exclusive, global and perpetual rights in August 2017 to the novel antibody. Because it was developed in Duke labs, the technology is licensed from Duke. The company is financed by Duke University and Longview International, Ltd, a Singapore-based venture capital firm that invests in life science companies. Patz said that his team aims, with added recent assistance from the National Cancer Institute (NCI) on the pre-clinical package, to take the drug to trial by late 2018/early 2019 in human patients with advanced stage solid tumors. Patz’s research was given a major boost last month when the NCI’s Experimental Therapeutics Program (NExT) accepted his “Complement Factor H Antibody” proposal — committing to work on the preclinical package that will lay the groundwork for the new drug to be tested in human patients in a Phase 1 clinical trial. The NCI program will carry out the pre-clinical safety and toxicity studies in animals, including tissue cross-reactivity testing. Although there is no assigned dollar amount, the work that NCI will be doing uses tremendous expertise and significant resources, which validates the innovation of the program, , according to Patz. Without NCI help, Grid would use an outside vendor for the work. “This work in collaboration with the NCI is critical to Grid Therapeutics IND filing to the FDA to be able to use the drug in clinical trials,” said Patz, who added that Grid has hired an FDA consultant to smooth things along. “Following an aggressive timeline, the preliminary round of antibodies should be ready to undergo toxicology studies in Spring 2018,” said Patz, who also projected that they will finish up the analytics and do the final large run to manufacture the antibody at the same time that NCI is preparing and completing the preclinical package. 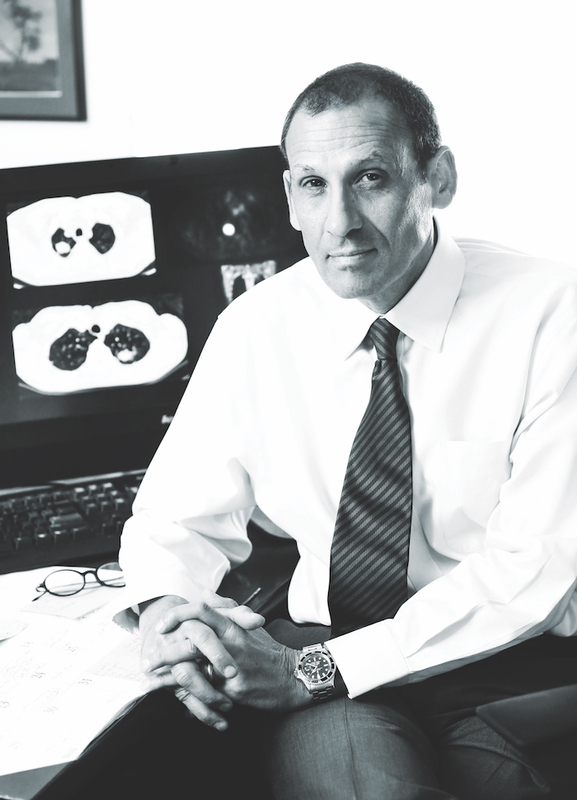 The target population of the forthcoming Phase 1 clinical trial, Patz said, will be 25 to 30 patients who have had prior therapy for advanced stage, solid tumors including the lung, breast, colon, or GU tumors. Patz said Grid is also working with Duke Cancer Institute on the clinical trial, to be run through the Phase 1 consortium of Duke Cancer Institute and the Lineberger Comprehensive Cancer Center, University of North Carolina at Chapel Hill. On the Duke side, the Phase I trial will be headed by Jeffrey Clarke, MD, and on the Lineberger side by Claire Dees, MD. It is anticipated that patients on the trial will be given the drug intravenously for an hour or so, once a week for four weeks. If patients are doing well, then they’ll be able to continue on the drug, Patz said. It was in a study published in June 2010, that Patz and colleagues first identified the antibody and its association with early stage lung cancer. The antibody they identified, in the blood of some early stage lung cancer patients, disables a protein called complement factor H (CFH), which works to protect cancer cells from immune system attack. “The antibody was first discovered in lung cancer patients, but it looks like the antibody works when we’ve tested it in vitro with many different solid tumors,” explained Patz. In 2014, Patz’s lab, in collaboration with colleagues in the Duke Human Vaccine Institute (Barton Haynes, MD; Michael Anthony (Tony) Moody, MD; and Hua-Xin (Larry) Liao, MD, PhD), was able to produce the recombinant CFH antibody. In addition to the antibody’s potential as a monotherapy, one of the drugs this antibody could potentially aid is rituximab, which is used to treat leukemia, but rituximab (a therapeutic antibody directed against the CD20 protein located on the surface of B-cells) only kills cancer cells in a limited number of patients. In 2015, Patz led a small proof-of-concept study by Duke researchers — published June 28, 2017 in the journal PLOS ONE — in which they found that when their CHF antibody was combined with rituximab and used in the cells of 11 chronic lymphocytic leukemia (CLL) patients, there was a significant increase in cancer cell death in five of those cases. Ten of the 11 had shown no response when only rituximab was used. Why follow testing of their antibody on solid tumors to testing the drug on the blood of leukemia patients? Patz said that Grid Therapeutics is working on another drug, along the same general platform. “We are resource limited, but we have one other lead candidate right now,” said Patz, Jr. “We are working on it, as fast as we can, given the resources we have.